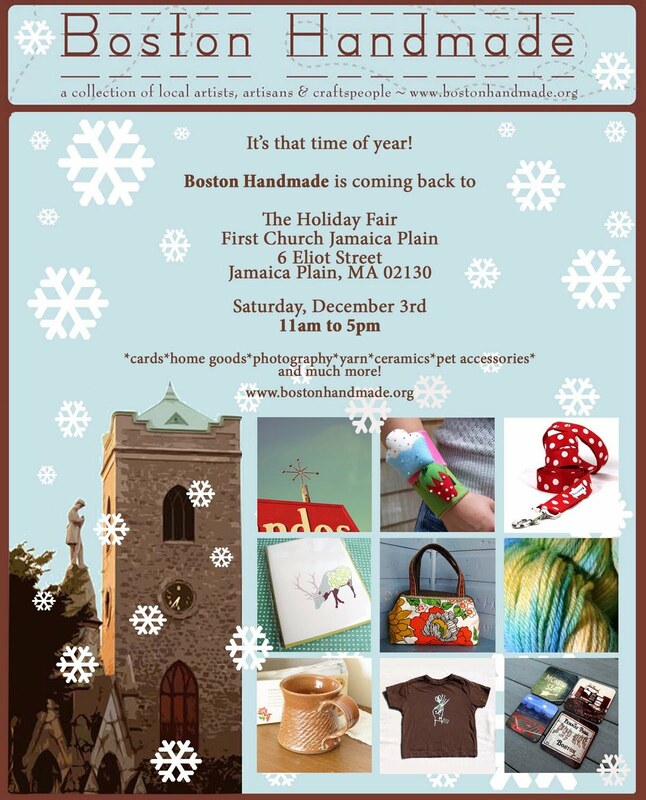 Boston Handmade: JP Holiday Fair THIS Saturday! 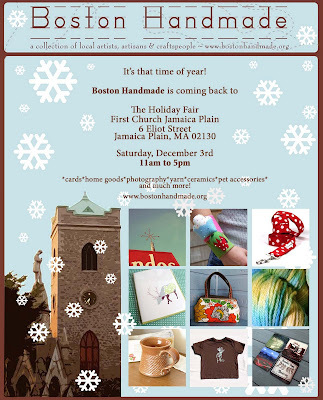 JP Holiday Fair THIS Saturday! This event will be in conjunction with the JP Holiday Stroll and tree lighting festivities so there is a lot going on all day in the Jamaica Plain area. For more information at to RSVP to this event, click here. Looking forward to see you on Saturday!